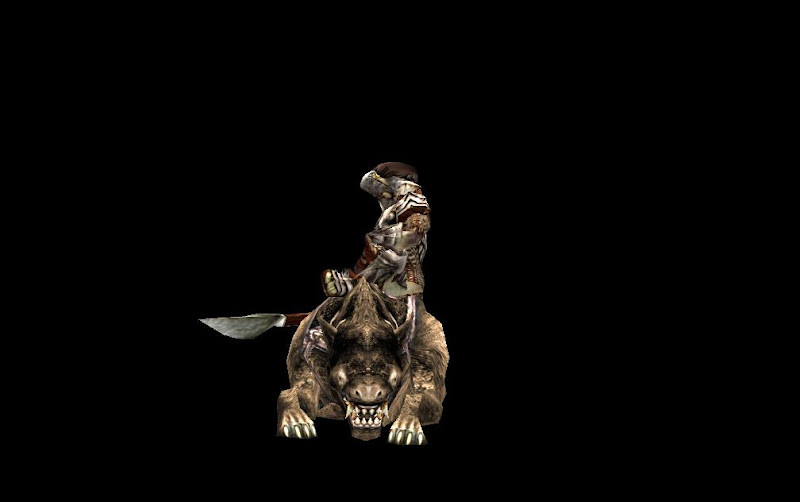 These guys left Moria with a group of Wargs because the mountain never conflicted with other races (often). So in search of blood and destruction, this group made a settlement in the Eriador ruins and continuously raid villages in far out region like Cardolan and ambushing travellers on the North-South Road (the road to Isengard/Gap of Rohan). 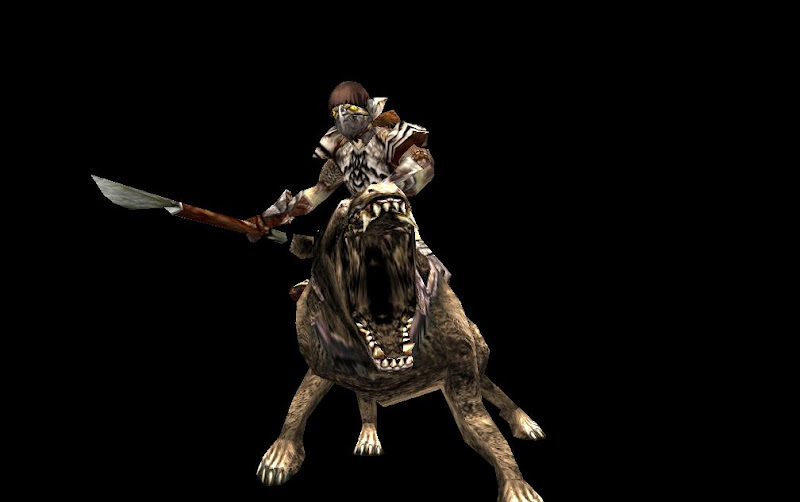 The Goblin Riders have become slightly bigger and stronger than the Moria Goblins due to the constant physical activity they do and wear leather helmets to block the sunlight. These fellas will play a big part in the Campaign ... You'll see. Of course this design is just a concept I'm still as open to ideas as ever !! Edited by Rider of Rohan, 20 June 2013 - 08:17 PM. 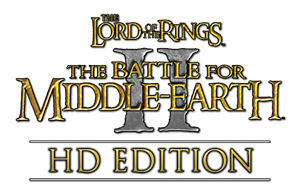 Instead of Eregion you could have them being from Eriador less of an Elven tie to it. Nice, but what's up with that Goblin's legs? Nothing is wrong with his legs, look more closely. The hood hat thing on his head looks a bit strange. Perhaps give them a full hood like the Goblin prowlers from Games Workshop? I dunno, Kwen, if I was riding that as a goblin, I'd move my legs down and hug its waist a little more than that, so I didn't fall off or slide around too much. 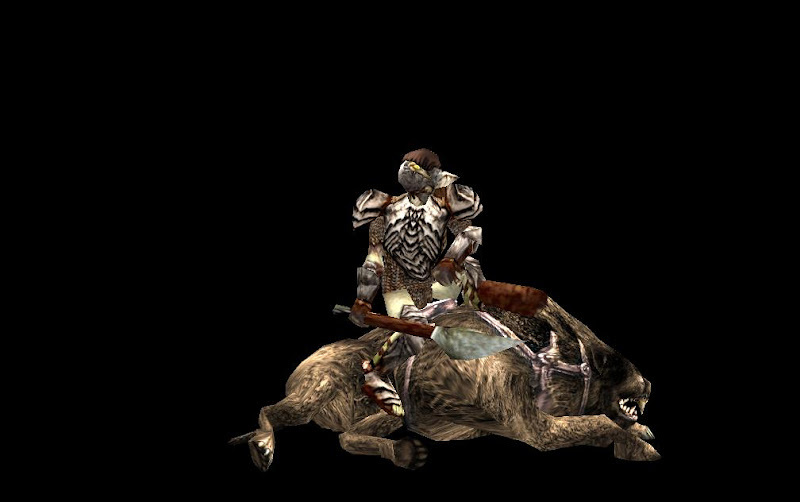 Yes RoR, remember to redo the entire line of animations for the Warg Riders. We can't go about using what we have if Irene doesn't like the look of it. I'm sure Irene is willing to make half the animations too. You know, I wrote that first, then changed it. I'm still not sure on conditional tenses in my own, let alone any other, language. I don't know, Kwen. If I were riding that as a goblin, I would've moved my legs down and hug its waist a little more than that, so I wouldn't have fallen off or slid around too much. edit: damn, made a mistake..
Edited by Lauri, 20 June 2013 - 08:02 PM. Still, Lauri, it's "If I were riding"
I could try that and see how it looks sometime yea. And yes thanks guys and lets stay on topic XD. Now yes, back on topic. End of.